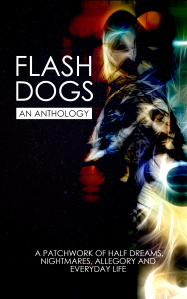 FlashDogs are an international community of talented and supportive flash fiction writers. 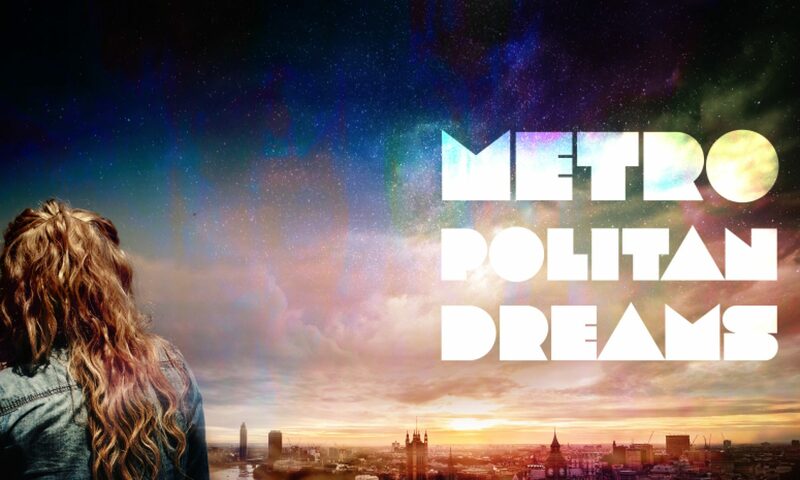 I’m now in editing mode for my first novel, Metropolitan Dreams (it’s progressing well, with the expert help of EJS) and I thought it would be a good time to catch up with as many FlashDogs as I could. No word limits. No need to win a comp. Just a chance to get to know the writer. The questions follow a format: First, Next and Last. Today I’m spending time with Tam Rogers. Tam is the artist responsible for all of incredible FlashDogs Anthology covers. She’s spent many hours designing covers, posters and flyers. Artwork so good, it’s on t-shirts and posters. Our first book – wow! It all started with an idea. Then the Twitter account. FDHQ email. 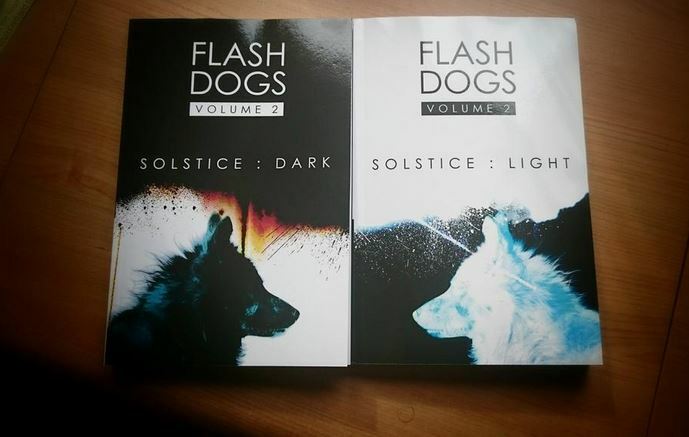 Flash Dogs Solstice – double the work! But when we saw the artwork was when we really knew we had something very special on our hands. But to say Tam was just an incredible artist would be to say that Leonardo da Vinci was just a bloke who liked dabbling in painting ‘n’ decorating. She’s a mighty fine writer. A tamer of a ferocious Beast and a person that might be able to help you in an apocalypse. Pull up a chair. Grab a beverage. Come with me as I’m allowed through the razor-wire fences of FDHQ for a quick chat. TR: It’s hard to pick a first time – happily, there’s plenty of times where I read something and it blows my brain, or I watch something and my eyeballs pop out of their sockets like I’m some weird kind of cartoon. I do remember watching The Matrix (can we have that in the art box?). It was the first film I remember being a big hit in cinemas and really affecting me – the style, the finish, the idea. I remember spending a good few weeks wondering whether I was, in fact, being misled about the state of reality. I wondered which pill I would take. I wondered how I would survive in that world when I can’t make sunglasses look cool. TR: So, I made a promise to myself (over a few wines and a glut of mince pies at Christmas) that this would be the year that I venture into publishing. This would be the year that I package my words into nice little parcels and send them on their way into the world. We all have to let them spread their wings at some point. And so, Double Vision – Collected Short Stories was born. This is the dipping of the toe. This is the lighting of the fuse. Because after Double Vision (*ahem* available to pre-order now and releasing on 30th April… oh-my-god-is-this-really-happening-?) comes Grind Spark. Grind Spark is technically my second novel (let’s not speak of the first one, it needs some major reconstructive surgery before it will ever see the light of day. As we speak I hear it clunking away behind the cupboard door.) Grind Spark is a near-future dystopian novel about growing up in the years leading up to the end of the world. It’s about pretending to be the perfect family. It’s about whether you want to survive. I was lucky enough to have it longlisted in the Bath Novel Award 2014, and it’s due out this summer. While all this is going on I’m working on the next books – I don’t like to say too much about works in progress (it feels like it might pin them down, jinx them, force them to be something they don’t want to be yet), but roughly speaking we’re talking about a Birmingham-set novella, and a novel about diaries and pyramid schemes. TR: Seriously, this is a dangerous question. And this is a big question. I mean, what isn’t there to get frustrated about? I could go on and on because we could talk about the way we’re treating the NHS, the way we’re treating minority groups, the way we’re treating privacy. It’s frustrating because a large number of people who I consider friends don’t seem to get the idea that complacency now will leave us with nothing and breed all kinds of –isms. It makes me angry. It makes me pissed off. And it makes me sad. And if someone else says to me “Well if you’ve not got anything to hide then why do you care if they’re watching you” I might be forced to punch someone. I get this from my mum. I get this from my handicapped brother. And I get this from my love of science fiction. I grew up reading dystopian science fiction – think George Orwell’s1984, think John Wyndham’s The Chrysalids. So when was I last frustrated with how the world works? Every time I see a misleading story on the news, every time I see someone breaking down the benefits system, every time I see some greasy faced man in a suit suggesting that caring for the down-trodden is ruining our economy. So probably about half an hour ago. I also get really annoyed when I run out of cheese – there should be some sort of emergency hotline for that. TR: Read. Well, read, pour a glass of wine, have the occasional cigarette. But mostly, read. There’s nothing like escaping from the world into a good book. Right now, I’ve just finished James Smythe’s Way Down Dark which is excellent (I can’t recommend Smythe’s books enough – pick up The Testimony, The Explorer and The Machine and they’re like masterclasses in writing). Recently, I’ve been reading until I fall asleep, dreaming of fantastic places and dribbling on my kindle (other e-readers are available). TR: I don’t really have a bucket list. I’m not a fan of buckets – they bring to mind cleaning, or vomiting, or perhaps a combination of the two. If I did have a bucket list then something that I really want to do is have a dog. 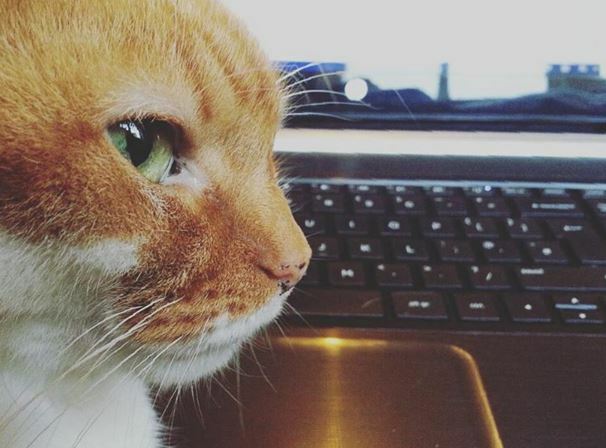 I have a cat – the Beast. I might have mentioned her before. She is a grumpy furbag but in her own way she is lovely (in her bitey, scratchy sort of way). But I would love a dog too. Things get in the way – rental housing, work – but one day I swear I’m going to be living by the sea and going for long walks on a windswept beach with a dog collecting sticks and rolling in anything smelly it can find. TR: There’s big things you see people doing – opening their homes up for refugees, setting up charities, donating kidneys. There’s little things – a smile here, a song there, the sharing of a parking ticket that’s still got some time on it. There’s the other things – like not shouting at the cat when she smears poo all over your bag. And there’s the things that aren’t random – picking up the phone to see how someone is, giving someone a hug because you know it’s not words they need, letting someone vent because sometimes that’s what they need to do. I like to think I try to do the little things, and that one day I might do a big thing. TR: Officially the best question, and don’t think that I haven’t put a fair amount of thought towards this very matter over the years. I live in Birmingham and cities would be rife with the living dead once it all kicks off, so the natural inclination would be to head out into the countryside. I used to live in a flat, which seemed like a fairly decent place to defend (plenty of stairwells to block off, plenty of heavy duty doors to blockade), but now I’m in a normal house so it would be a case of packing up and shipping out. Where first? Well, assuming my family are safe so I don’t have to undertake the world’s worst rescue mission (I can’t see if I break my glasses and I can’t run without sounding like Darth Vader – I am not hero material by any means), I’d head towards greenery – maybe somewhere in Wales, or the Peak District. Via the local shop, of course, to stock up on any cheese that the looters might have missed. I like to think of myself as a rather bad, recreational harmonica player. I enjoy playing, but the cat hates it and makes it known (in her own violent way). I’m not very good, but sometimes it’s fun just to make a load of noise, pretend you’re a train and play some blues. So if I were going to really treat myself I would probably get a super-low Hohner Thunderbird. If nothing else it would give the neighbours a chance to hear a lower version of my wine-fuelled Friday night harmonica jams. TR: I’m quite easily pleased, so most Sundays I’m proud of just getting out of bed. How I loved doing that interview. Mega thanks to Tam (for everything).